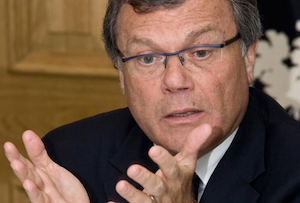 WPP boss Sir Martin Sorrell has snapped up a 30% stake in World Economic Forum organiser Richard Atiass & Associates. The New York based high-end events organiser is the logistical power behind the World Economic Forum at Davos and similarly big time, big-brained events such as the Middle East Peace Summit in Jordan and Nobel Laureates conference. It turns over $35m annually and employs some 50 people. Could this be a case of Victor Kiam syndrome? (Readers of a certain age will remember this silver-haired sales ace as the TV face of Remington razors in the 80s - catchline ‘I liked it so much, I bought the company’). Sorrell is known to be a big fan of the annual gathering of the world’s movers and shakers in the Swiss ski resort of Davos, after all. Or it could just be that, as a veteran ad man, he knows a solid-gold audience when he sees one. The kind of people who attend Davos areabout as super-premium as it gets after all, a winning combination of wealthy, powerful and very hard to reach. As for the eponymous Richard Atiass himself, he must be pretty high on anyone’s list of World’s Best Connected individuals - as well as those already mentioned, he worked on the launch of the Euro in 2000 and the Clinton Global Initiative, and is married to the ex-wife of former French president Nicolas Sarkozy. But he has weekends off and he is his own boss, as Dudley Moore said in Arthur. Whatever the truth it looks like a pretty canny buy, although in the best WPP tradition it is only one of many. Sorrell’s group has made 40 acquisitions this year and there will doubtless be more to come in 2014 as he strives to regain the title of World’s Largest Advertising Group. Will cultural challenges thwart Netflix's global ambitions? Twitter turns 10: will it make it to 20?